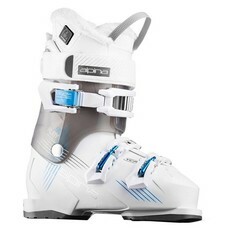 The Ruby 65 Heat from Alpina is a great way for the beginner to intermediate skier comfortable and warm on the mountain as they learn the ins and outs of skiing. 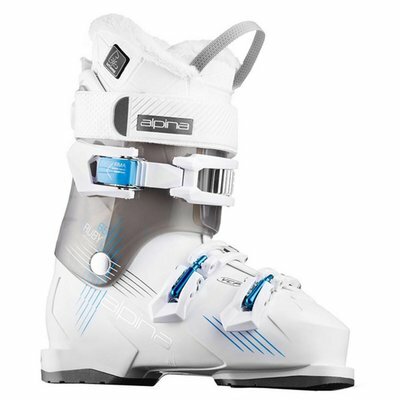 Alpina has their InTemp integrated heating system that uses heating coils that wrap the foot on the inside of the liner and three temperature settings will keep your feet comfortable for hours on the slopes. A Ratchet Cuff Buckle and VCR (Volume Control Regulator) make it very simple for you to tweak and adjust the fit around your calf. The Women's Specific Fit is designed for the narrower heel shape and more taper from the heel and forefoot. The VCP (Volume Control Plate) gives you the ability to add volume to the boot by swapping the right and left bootboards for a perfect fit. If you want a beginner boot that will help keep you comfortable and warm on the mountain, the Alpina Ruby 65 Heat is the perfect option for you.